When it comes to Australian regulations, standards, laws, rules and guides for vehicle window tinting it is commonly accepted to have a car window tint of no less than 35% Visible Light Transmission (VLT). 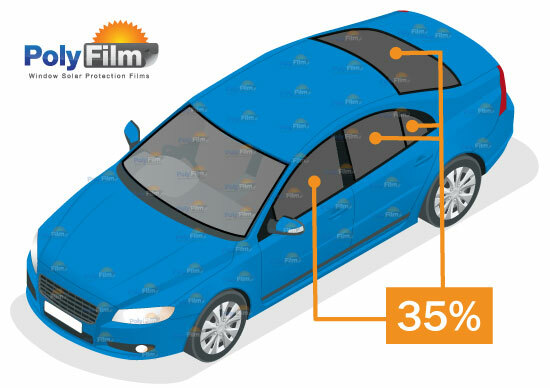 Both 35% and 50% VLT are legally suitable for vehicle windows with no existing tint. There are some allowances for darker tints behind the front side window in NT* and WA*. * This is an overview guide only, see actual regulations for each state for specific detail.